The cutest thing you've seen on two wheels, we give you the FIRST GO! Balance Bike! 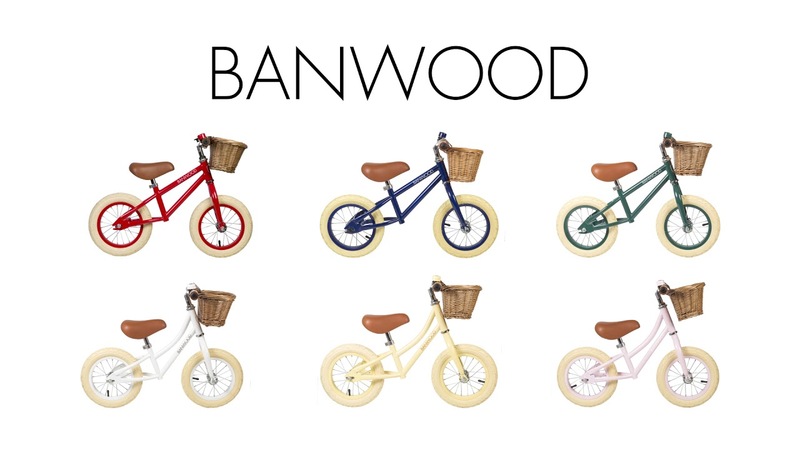 Getting your little one's first bike is always memorable - make this moment even more special with the gorgeous retro style push bike from Banwood! Perfect for little ones aged 3-5, your little tyke will love scooting, zooming and exploring! Complete with a detachable wicker basket and bell, teddy can sit up front and come along for the ride! Designed without pedals, chain or training wheels, they can easily push themselves forward helping to develop their confidence, motor skills and balance, getting them ready for a bigger pedal bike without ever needing stabilisers. The height adjustable handlebars and seat mean as your child grows the frame can be adapted to suit their needs. The faux leather saddle and grips are weatherproof and easy to clean making it durable too. Available in a selection of other gorgeous colours and with matching Cycle Helmets available separately, they can safely scoot around in style! If only we sold them in adult sizes! Features a detachable wicker basket and a bell! Available in a selection of other colours! After meeting in Germany, Juan Manuel Torralvo Castro and Frida Jonsby combined their knowledge of manufacturing and their passion for design to create family-owned company Banwood. Specialising in balance bikes, their passion and interest in cycling shines through in everything they create. Ensuring each product is of the highest quality with a timeless design, it’s easy to fall in love with each of their charming products. Rigorously tested and meeting strict standards, your little ones can safely enjoy cycling and exploring on their very first bike! Influenced by Scandinavian design, during their creative process they focus on simplicity, minimalism and functionality… not to mention their bicycles are the cutest things we’ve seen on two wheels! Banwood are environmentally conscious too! Working closely with OneTreePlanted, a non-profit organisation, focused on global reforestation; for every Banwood bike purchased a tree is planted and cared for. Deforestation continues to be a major issue, threatening animals and plant species internationally. For every tree planted they hope to prevent and resolve this destruction. Essentially, while you shop you’ll be championing reforestation and helping to save our beautiful planet - now that’s money well spent! With several colours and designs to choose from, enjoy guilt free shopping!